FireMedia is a London, ON based web design, development and Internet marketing service. We are a team of expert web designers and developers creating search engine and mobile friendly websites to boost your brand awareness. We take our time to understand your needs and provide you with a website that meets all your business goals. 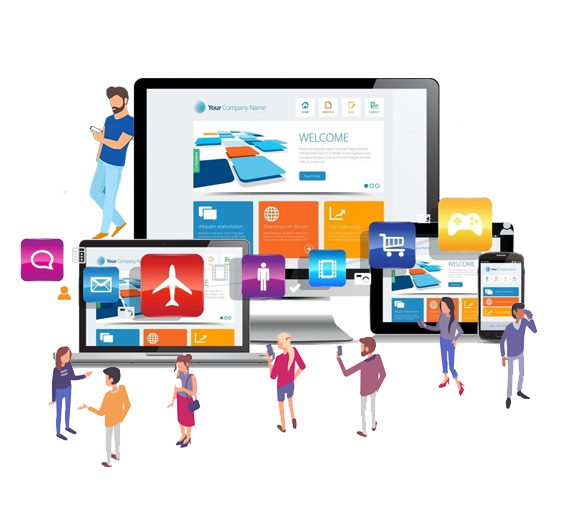 We excel in crafting stunning web design London (ON), online stores and mobile apps. Our web designers combine creativity, technical excellence and latest tools to create mesmerizing web experiences. Our WordPress experts create amazing responsive websites with WP themes, plugins, extensions and other amazing features. What’s amazing is that we do all this within your budget. 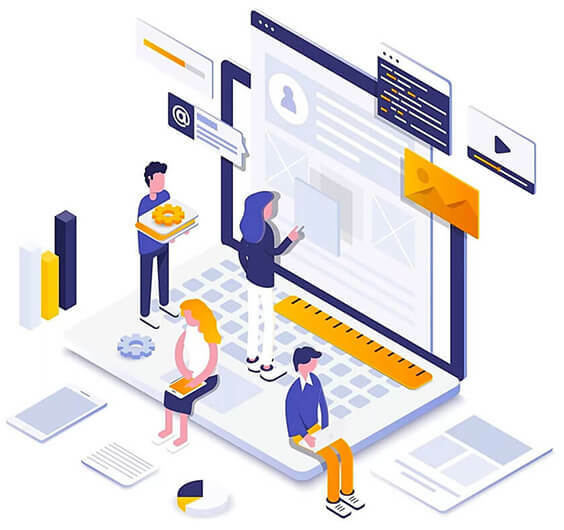 We employ the latest web design technologies to design and develop stunning websites which are SEO and user friendly, feature-rich and responsive. With in-depth and focused expertise in WordPress, we excel at making 100% responsive WordPress websites with WP plugins, extensions and WordPress themes. Leave a lasting impression on your shoppers with ecommerce website designs. Sell more products and boost sales with WooCommerce based WordPress estores. Our professionals deliver the right experience to improve the ranking of your website in the search results. We help you generate higher relevant traffic that boost sales. Need help with Google Adwords? FireMedia offers affordable Google Adwords consulting services that meet your specific criteria and deliver expected results. Our social media marketers are able to promote your online brand, business or product in a manner that engages more audience & conversions through social media networks. With in-depth and focused expertise in WordPress, we excel at making 100% responsive WordPress websites with WP plugins, extensions and WP themes. Is your website user-oriented? Our web designers will craft premium web design London (ON) for your users. We believe that impressive designs attract visitors, but intelligent designs engage them. We believe that mobile web browsing is the future. We create fully responsive websites with fluid grids. Our experts make feature-rich websites with excellent UX and UI. Make a great impression and stay ahead of your competition. We will help you create strong online presence. Our web solutions are designed to impress your audience and lead to online success. 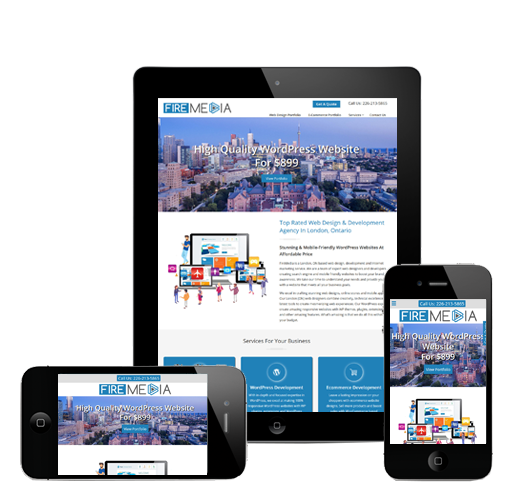 A responsive website helps you deliver engaging customer experience regardless of the screen size or platform. Our web designers London, Ontario create responsive websites that perfectly adapt to the user’s environment. We craft websites that are effective and easy to use on any device. If you want to know how it works, come join us for a cup of coffee while we discuss your project. FireMedia is a full-service web design company based in London, Ontario. We handle clients having different business niche. So, we know that no two clients are same , so as the requirements. For us – one size never fits all. So, we offer customized solutions. At FireMedia, we got what we were promised. Our website was completed and delivered within 15 days. Not only that, they gave us a head start in SEO with optimized content. Looking forward to working with them again! FireMedia guys are awesome! Our ecommerce website looks much better than envisioned. All the features and payment carts work amazing. Will recommend you to more of my friends! Our website redesign was completed before the deadline. They also helped us migrate the data and switch to a new hosting company. Amazing services. Discuss Your Project Or Get An Insight Into Our Services? We’d Love To Hear From You. 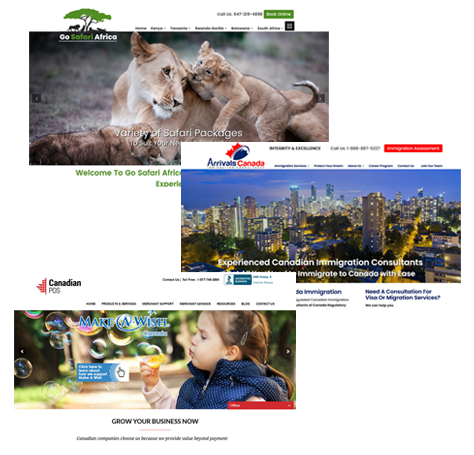 Copyright © 2019 FireMedia | Web Design London,Ontario. All Rights Reserved.